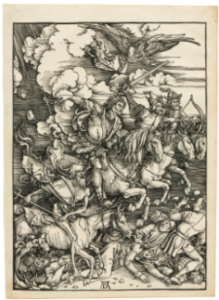 L’Apocalypse by Albrecht Durer, considered to be the first “painter’s book”, comes up at Christie’s in Paris on February 20 as part of the Marc Litzler Collection. 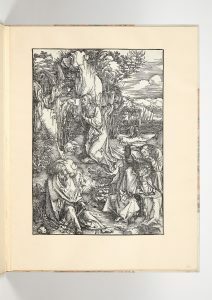 Durer breaks with the traditional medieval representations of the 15th century with a new a personal vision in this book published in 1498. It was influenced by his trip to Italy to study the works of the Renaissance. 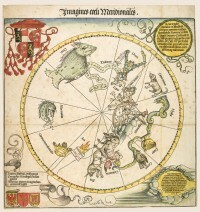 It features more dramatic subjects portrayed through wood engravings. L’Apolalypse is estimated at 150,000-200,000. The Litzler is notable for the quality and rarity of its illustrated editions and art books, which comprise the majority of the sale. It features the groundbreaking Jazz series by Matisse made of 20 stencilled coloured plates made from the artists’ collages and cutouts. Jazz is estimated at 200,000-300,000. UPDATE: L’APOCALYPSE sold for 346,000, Jazz for 298,000. The auction brought in 4.4 million. 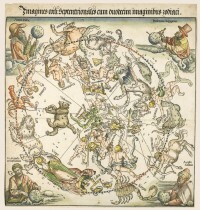 Dürer’s maps of the Northern and Southern skies, the earliest printed star charts, feature at Sotheby’s sale of Old Master, modern and contemporary prints in London on March 30. 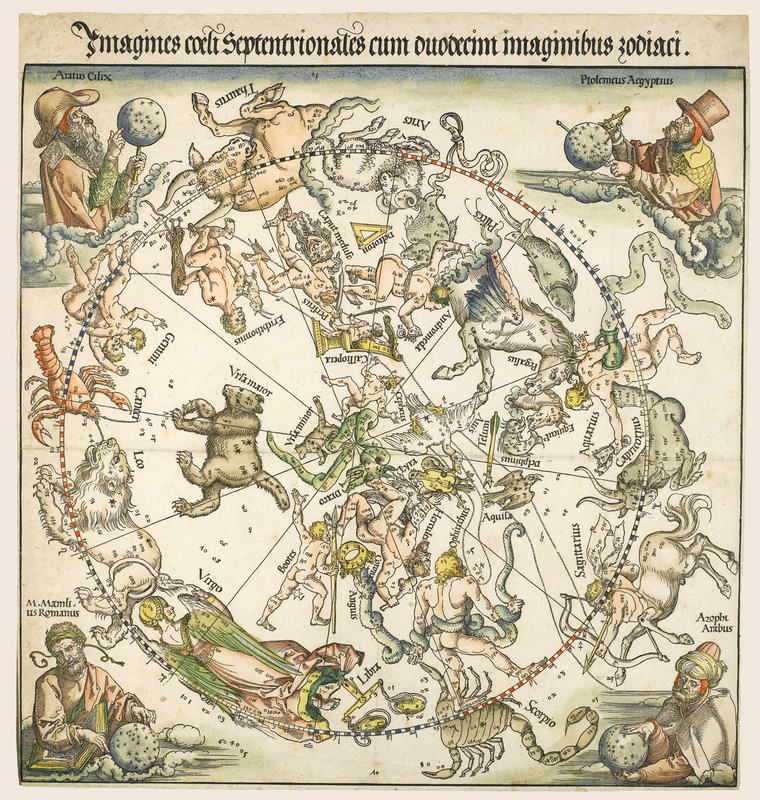 The extremely rare woodcuts celestial maps by Albrecht Dürer are the oldest printed star charts published in Europe. Dated circa 1515, they were produced in Nuremberg under the patronage of the Holy Roman Emperor, Maximilian I, and were the product of an innovative collaboration between Dürer, Viennese astronomer Johannes Stabius and German astronomer Conrad Heinfogel. They are estimated at £120,000-180,000. The sale also features a large group of prints by Rembrandt, a collection of works on paper by Paul Gauguin, and a rare linocut by Pablo Picasso. There is a group of seven works by Lucian Freud, comprising a series of etchings of landscapes and figure studies and three works by Roy Lichtenstein, all dating from the 1990’s.